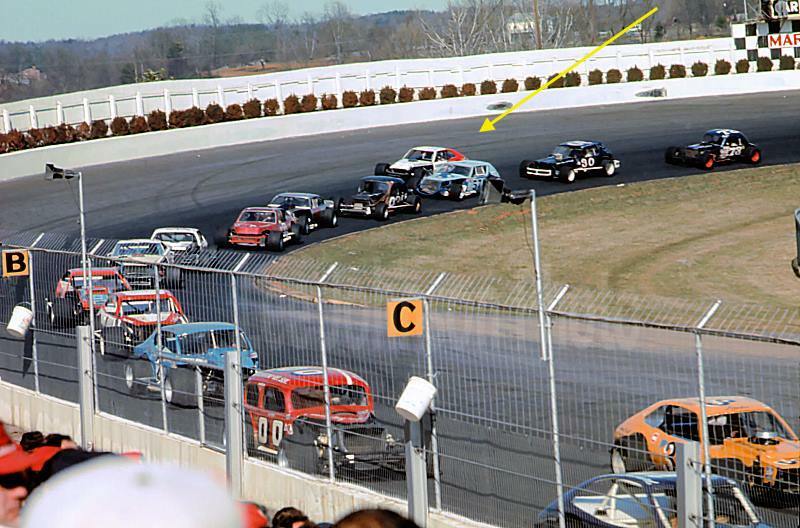 1975 – Stafford Spring Sizzler. Photo by Mike Adaskaveg. 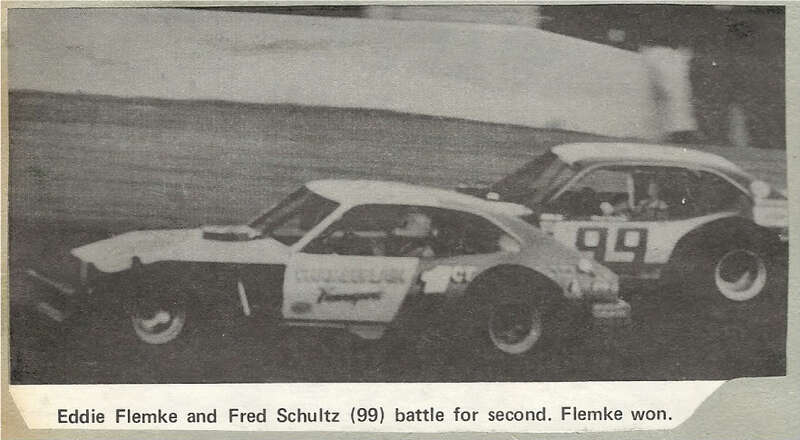 In the 1975 Stafford Spring Sizzler Ed drove the John Lukosavage Pinto to a strong 2nd place finish. He also drove the car in that spring’s Dogwood 500, in which, despite an early contact with the wall, he led and looked like he would win it until he had a fuel problem near the end, and finished 21st. Image from David Bentley. 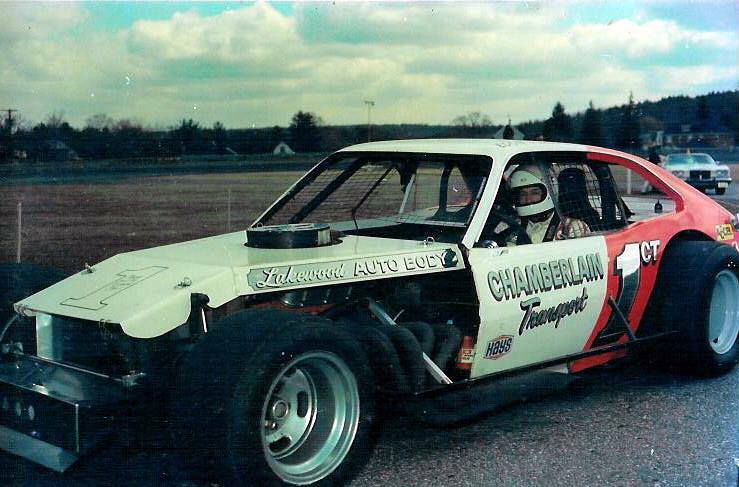 1975 – Stafford Springs, car owned by John Lukosavage. 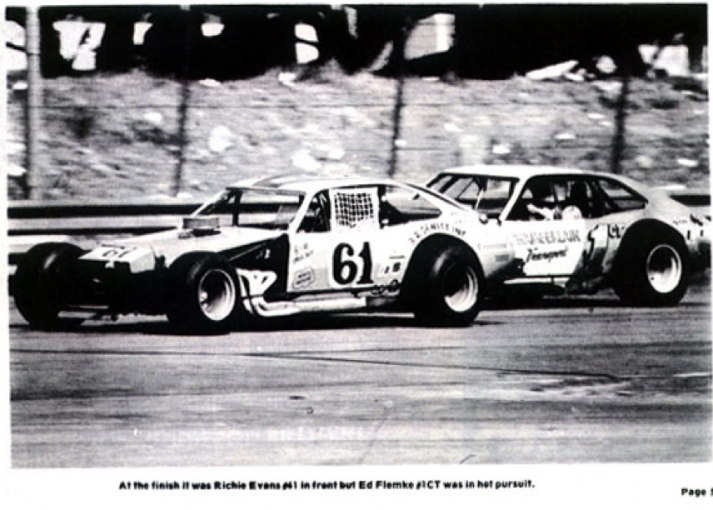 1975 – Stafford Spring Sizzler. 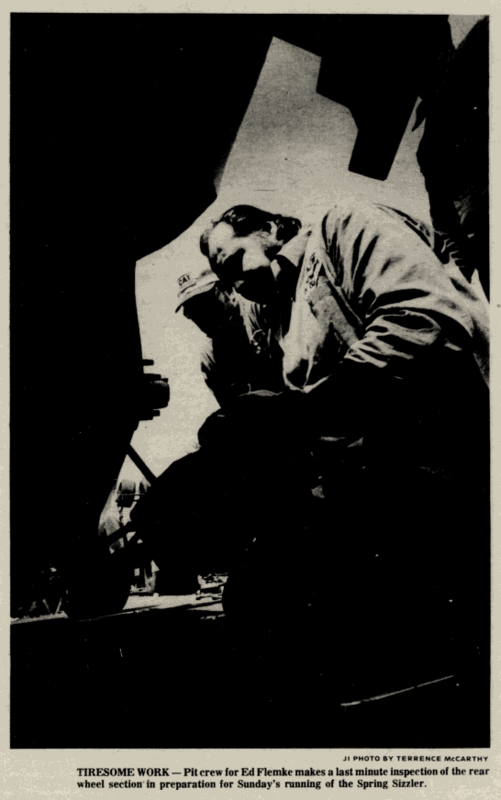 The #1 was owned by John Lukosavage. 1975-04-14. 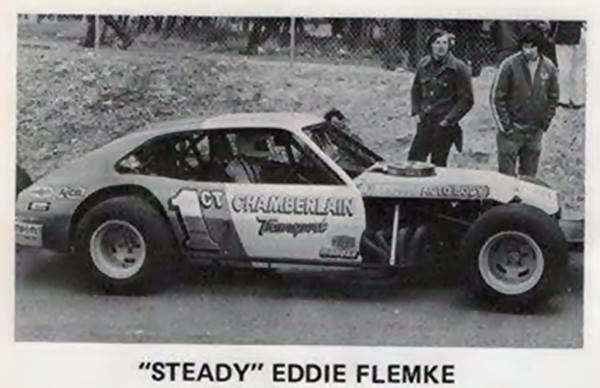 This is the #1 Pinto that Ed drove in early 1975 at both the Martinsville Dogwood 500 (which Ed led before mechanical problems set in) and the Stafford Spring Sizzler (in which Ed finished 2nd). Car owner John Lukosavage is in the foreground of the photo, which is from the Manchester Journal-Inquirer. 1975 – Stafford Spring Sizzler. This is how they finished – Richie Evans 1st, Ed 2nd. Photo by W.F. 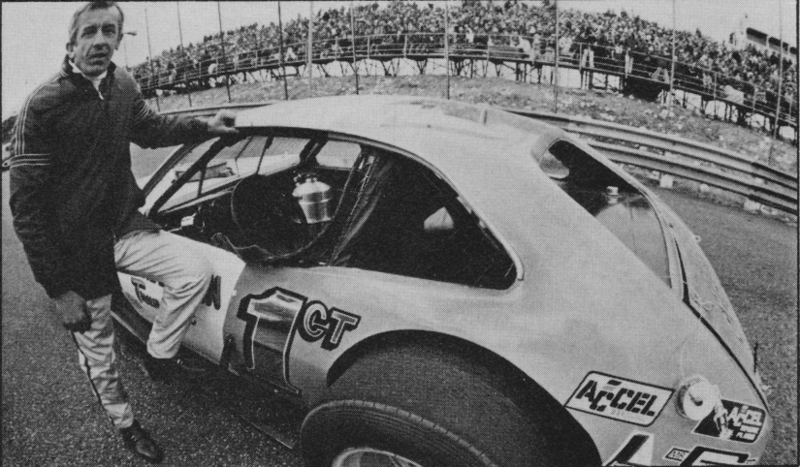 Reilly Jr.
1975 – Martinsville Dogwood 500. The roof of the Lukosavage Pinto, temporarily numbered “5”, can be seen in the foreground. 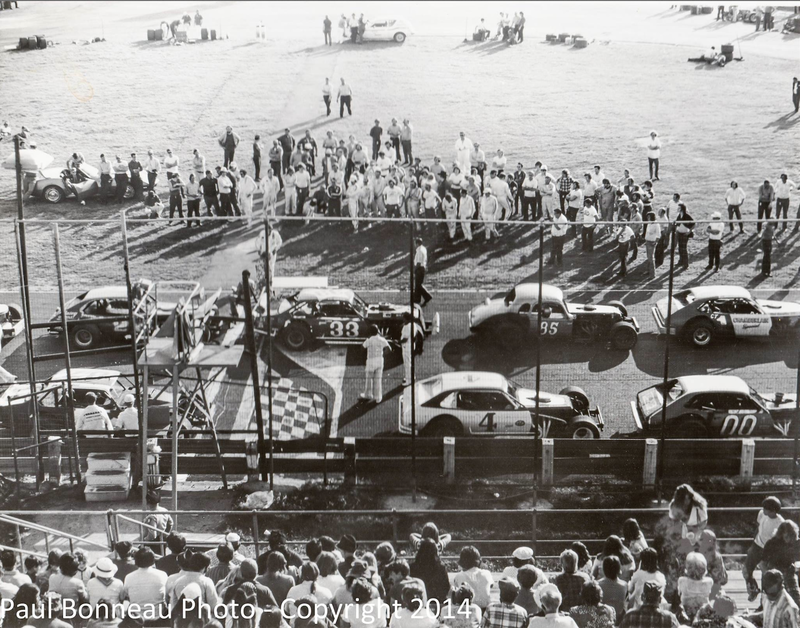 In the center of the photo, track owner Clay Earles is giving Harry Gant a trophy for taking pole for the companion LMS event. 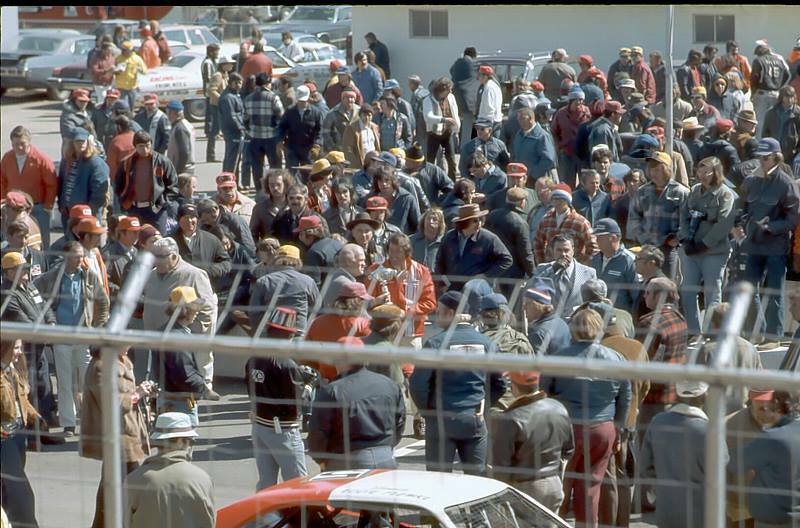 1975 – Martinsville Dogwood 500. Ed’s white and red car is on the outside towards the back. 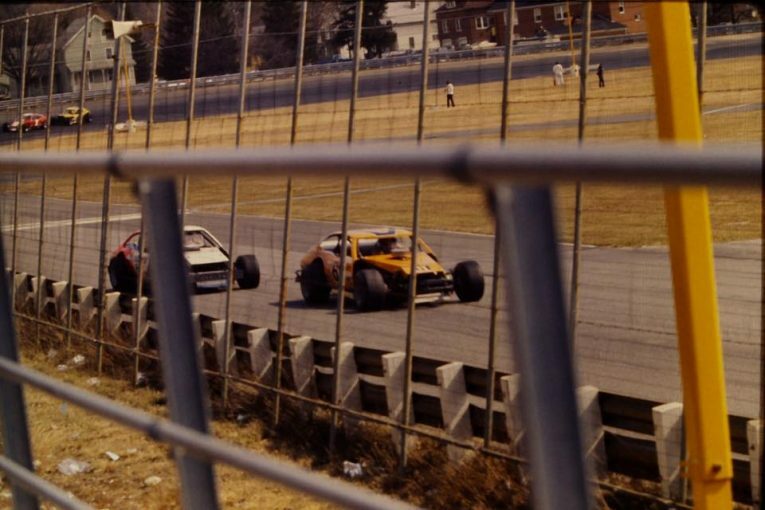 1975 – Stafford Spring Sizzler.